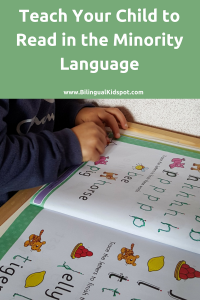 If you are raising a bilingual child and have no plans to send them to an international or bilingual school, it will be up to you as a parent to teach them how to read in the minority language. If not they may grow up bilingual, but not biliterate. 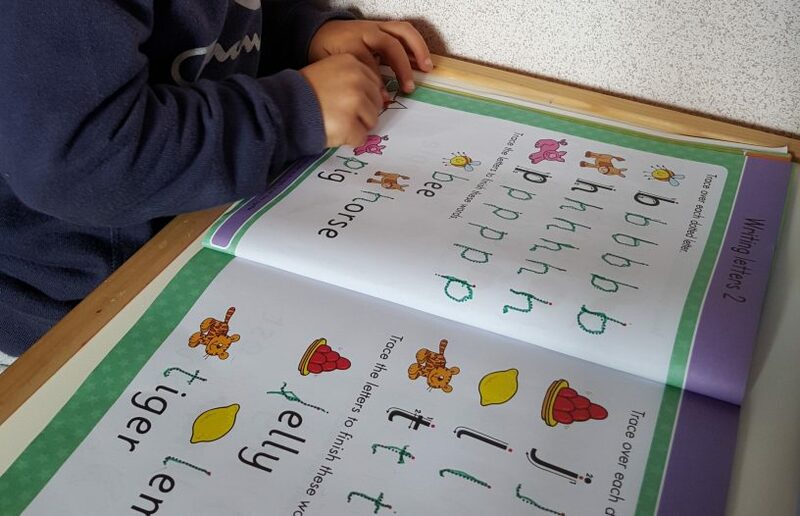 Some languages are similar enough that your child’s reading skills will transfer to the minority language, however if there are different alphabets, or different phonic sounds, this may not be the case. Teaching children to read is one of my favourite things to do and one of the most satisfying. Although most children won’t start actually reading properly until around five or six years old, it’s never too early to start preparing your child for a love of reading. My eldest is four and though a little young to be reading properly yet, we are already doing little activities together to set down a good foundation. Here are a few ideas that can be used for children learning to read in any language. By reading to your child daily you can teach them to enjoy it. Even from infancy when they don’t understand, if you read loud, you can introduce them to new vocabulary while also creating a strong bond between the two of you. The more you read to your children the more words they will hear and the more vocabulary they will soak in. This is extremely important for the minority language as this is the language your child will be less exposed to, especially when they start school. Try different types of books so they can hear a wide range of words. Don’t be scared to use bigger words just because your children are young, you will be amazed at how much they are able to understand. From the day my boys were born I have read to them, I set aside some time each day to read a book or two together, especially bedtime stories and they really enjoy it. Instead of teaching your child the letter names, first teach them the sounds the letters make. Of course eventually they will need to know the name of them however for them to start reading it’s more important to know the sounds they make so then eventually they can start to put those sounds together to create words. Letters are everywhere you look, so when you can remember, point them out and ask your child what sound it makes. 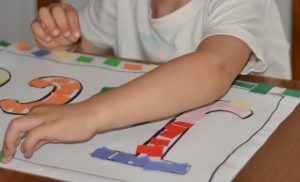 When doing arts and crafts at home, I try to incorporate a learning activity such as colouring or decorating letters. You can then make a game out of it. For example ask which animals start with that letter or play “I spy” searching for things around you starting with that letter. This helps with the recognition of letters and what sounds they make by having to think of things that start with that letter. They enjoy it without realise they are learning. Some words cannot be sounded out therefore they have to be memorised. These can be learned from an early age. Flashcards are great for this. You can play games such as word bingo, or snap to help with the recognition. 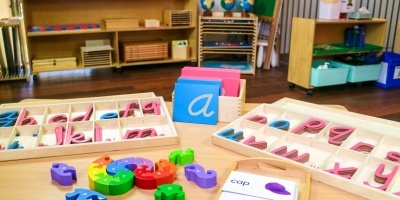 They will learn the word the same way as they learn the letters or the names of certain objects by identifying the word as a whole, rather than sounding out the letters. We haven’t yet got to this stage with my children yet, however with other older children I have taught in the past I have found that teaching similar words that rhyme helps them see patterns when they read. Eg. If they learn to read “cat” it will be easier for them to learn how to read “sat” or “hat”. Recognising rhyming words is an important language skill in any language. One of the most important things is for yourself to be a good example. Children are the best at imitating, if your child sees you reading, then they might want to read too. 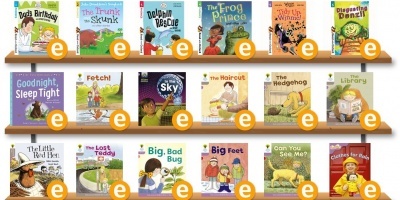 Read together daily and show your child how much you enjoy it and you will pass on a love of reading to your child. One thing I have learned over the years is that all children learn differently so what works for one may not work for another and you may need to try a few different things. 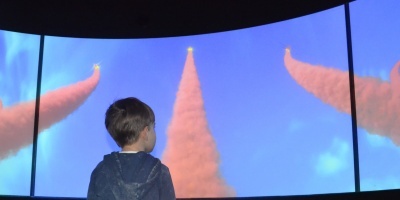 But like all activities, if you make learning fun then they will enjoy it and be able to get the most out of it. Did you find this post interesting? Why not subscribe to receive other related articles. Be sure to like our Bilingual Kidspot Facebook Page, follow us on Twitter, and join the Bilingual Kidspot Discussion group! Hi! What if you are doing all these things but your child is still reluctant to learn to read in both languages? Feel like I´m trying my best but keep coming up against a brick wall.I have blogged about our struggle with reading recently. Would be grateful for any more tips/advice you can give me! It would be helpful to know how old your daughter is? Many children are reluctant to reading because they haven’t found the right books. I love libraries for this reason. A weekly visit to the library so that your daughter is surrounded by books could help. Let her explore and choose the books she wants to look at and read, that will help you see what she is interested in. It can sometimes be distracting at home when they have lots of other toys about, Libraries usually only have books so it can be a calming place. Children don’t usually start learning to read until around 6yrs old, sometimes in countries like Norway and Sweden it can even be later. I like to follow the child, if they aren’t ready we shouldn’t push them or they will rebel against it. Instead try to find ways to encourage her. Surround her with different types of books and give her choices. Thank you very much for your advice! !I try to encourage her to come/go to the library but she doesn´t even want to do that(she´s a very strong-willed child!!) She´s 5 yrs old and has just started learning to read at school in Spanish….unfortunately I find the method very boring and not so motivating(never mind my daughter!) Unfortunately she has to read certain pages for homework so I feel like we end up forcing her and it´s going to make her hate reading even more. I just keep reading aloud to her from different books and trying different tips I´ve picked up from various blogs about bilingualism/reading and hope I´ll have a breakthrough! !